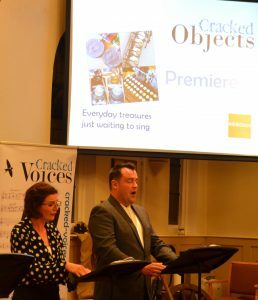 Thank you to everyone who came to Cracked Objects and Cracked Voices at Royston Methodist Church on Thursday 27th September! 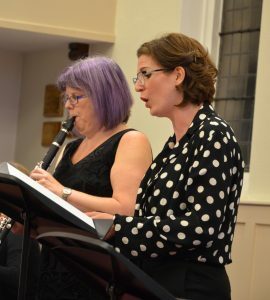 It was a fabulous evening. All images © Sue Hartga 2018. What’s next? 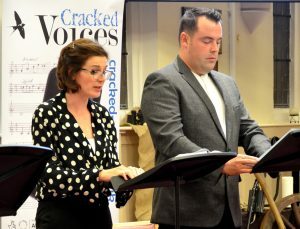 The Cracked Voices scores will be appearing in the next couple of weeks – watch this space! 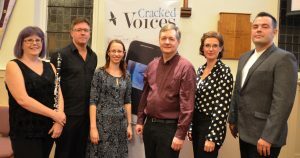 At the end of October the Cracked Voices quartet will be heading into the studio to make a recording of the song cycle – to pre-order a CD please click on the link in the navigation bar. 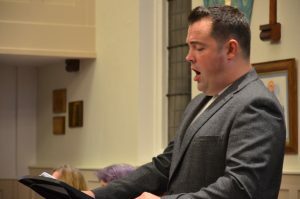 This entry was posted in News on October 1, 2018 by Jenni Pinnock.